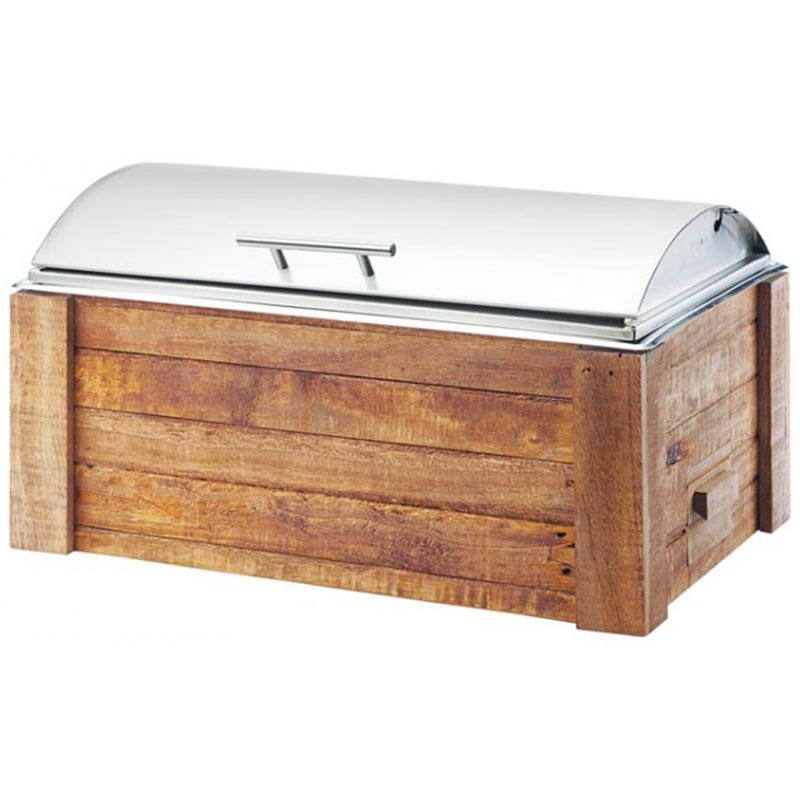 The Madera Chafer is constructed of reclaimed wood and metal. It is paired with a stainless steel lift top lid which keeps food fresh and warm until serving time. It is a perfect addition to any buffet, restaurant, or catered event.